Some of LA’s, meanest shelter cats are getting a shot at a whole new life and they have Melya Kaplan and the Working Cats Program to thank. Kaplan visits shelters that are overflowing with felines and when she goes, she is not looking for a charming house cat or the next Instagram sensation. She is looking for street smart alley cats. 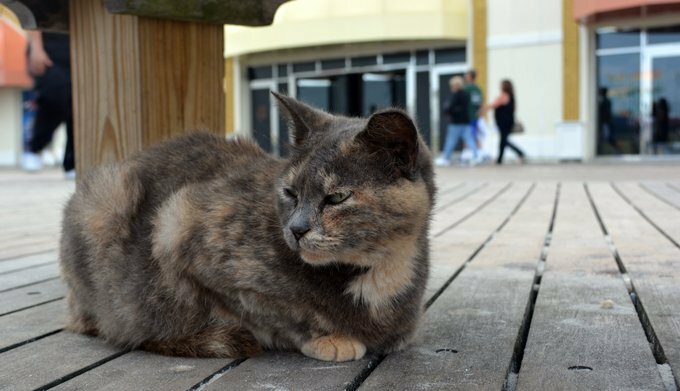 Many feral felines, after growing up on the streets and fending for themselves, are unsocialized and even mean, which is perfect for rat control jobs. The Working Cats Program started up in 1999 when executive director of Voice for the Animals Melya Kaplan, also a regular shopper of the Original L.A. Flower market, heard about their rat infestation problem from employee Carl Jones. The shop was spending money on exterminators, and trying everything they could to get rid of the rats. Nothing seemed to work and there was never an end to the chewed flowers and product loss. That all changed when Kaplan offered to bring in 3 cats to see if that would make a difference. She said if they did not see a noticeable difference she would take the cats back. This program has been a huge success. Not only is it a more cost effective alternative, the Working Cat Program is also green. You are not using toxic chemicals, and you are saving lives of creatures that would otherwise be sitting in a shelter or euthanized. Today, the huge warehouse has 15 working cats and they are very pleased with the results. But if you shop there you might not see them. Most are shy and stay hidden during store hours. Kaplan has since found jobs for over 500 cats, in places like police stations, schools, churches and even homes, where the felines are often reported to have become domesticated and friendly after a period of time. All the new owners are asked to do is to name and feed the new felines. Kaplan recommends that you get at least 2 cats, for companionship. 15 years later and the program is stronger than ever. Occasionally the cats have become so friendly and domesticated that it has opened up a job for a new “unadoptable” cat. A police officer explains how the cats don’t actually kill all the mice. They give off a scent that deters the mice and steers them in another direction.